Oilers goaltender wins weekly award for the second time in the past three weeks after posting a shutout and two wins to move to 7-2-0. PRINCETON, N.J.– Ian Keserichof the Tulsa Oilers has been named the CCMECHL Goaltender of the Week for the week of March 11-17. It is the second time in the last three weeks, and the third time in his career, that he has received the weekly honor. Keserich went 2-0-0 with one shutout, a 1.00 goals-against average and a save percentage of .957 in two appearances against last week. 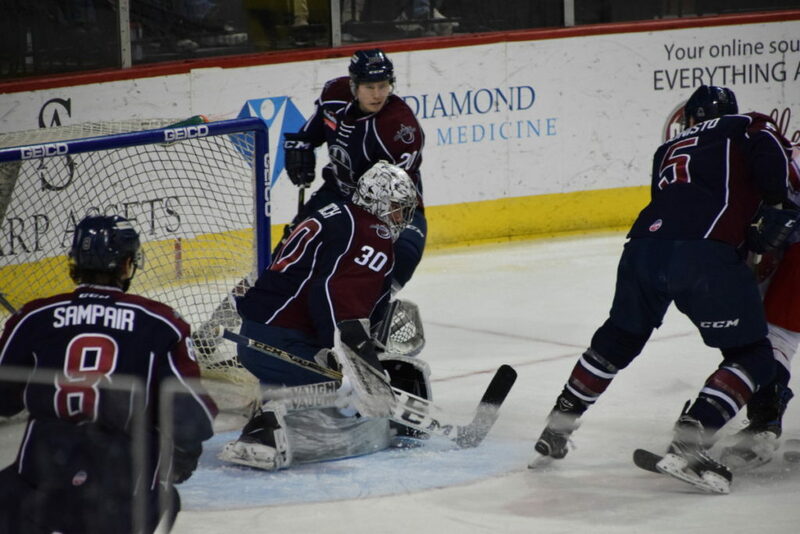 The 33-year-old stopped all 21 shots he faced in a 2-0 win at Allen on Tuesday to record his first ECHL shutout since Jan. 9, 2009 before making 23 saves in a 6-2 victory at Kansas City on Saturday. A native of Parma, Ohio, Keserich came out of retirement and signed with the Oilers last month. He has seen action in 11 games, going 7-2-0 with a 1.75 goals-against average and a save percentage of .934. Keserich has appeared in 56 career ECHL games with Tulsa, Elmira and Johnstown posting an overall record of 28-19-3 with two shutouts, a 2.71 goals-against average and a .913 save percentage. He also played in 160 career games in the Central Hockey League with Colorado, Mississippi, Wichita and Tulsa. Prior to turning pro, Keserich played two seasons at Ohio State University and one season with Tri-City of the United States Hockey League. The Oilers head to Wichita for two games against the Thunder at INTRUST Bank Arena Saturday and Sunday, after clinching a playoff berth last Saturday. Catch all the action Saturday on the Sports Animal radio network, www.tulsaoilers.comor ECHL.TV, with pregame coverage starting at 6:45pm.